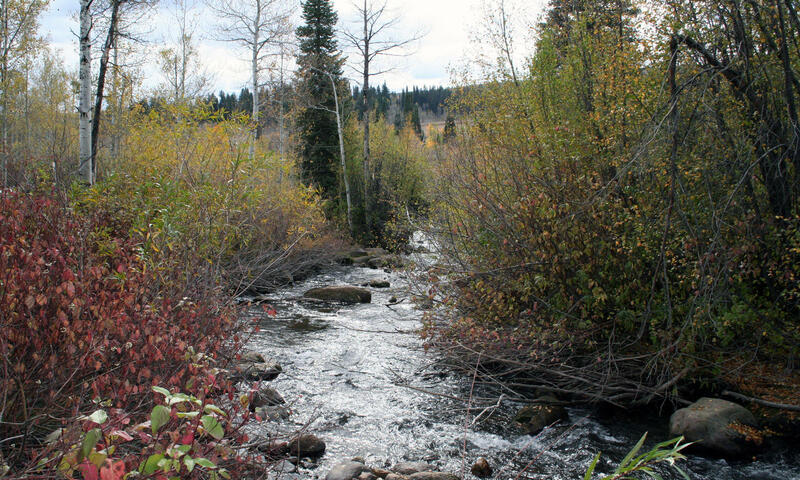 Decomposing leaves and woody debris in rivers like the Logan River in Northern Utah are an important part of the global carbon cycle. The leaves and branches decomposing in rivers play a key role in the global carbon cycle. New research at more than 1,000 sites around the world investigates how river decomposition rates can differ in locations at different latitudes. "Even though there’s been hundreds of studies on leaf litter decomposition over the past 50 years, we still didn’t have a real good sense of what the natural variation is in decomposition rates for different biomes located at different latitudes across the globe," said Jennifer Follstad Shah, an assistant professor in the environment and sustainability studies program at the University of Utah. Shah and her collaborators investigated decomposition rates in more than 1,000 river and riparian sites, including the Logan and Provo rivers here in Utah. "And what we found is that earth’s biomes have distinct carbon processing signatures, what I mean by that is that there are differences in the average rate of decomposition in different biomes," Shah said. She found these differences through a unique methodology: crowdsourcing scientists with small pieces of cotton. "Specifically 150 research teams from around the globe placed cotton strips in 500 streams and adjacent riparian areas. This is really an easy and inexpensive method so it can be done by community scientists as well as academics," Shah said. According to Shah this research provides critical information about the current conditions of global rivers, and by using accessible methods this work can be repeated for more ecosystems. "So this study serves as a baseline for understanding the average break down rates amongst biomes and the variation in those break-down rates and this is very important to understand in order to use decomposition assets as a tool to monitor the health of rivers and the success of restoration efforts." The research article entitled "Global Patterns and Drivers of Ecosystem Functioning in Rivers and Riperian Zones" can be found in the journal Science Advances.